Following the unveil of the 2019 Jordan Brand NBA All-Star uniform and footwear collections, Nike and Jordan Brand are inviting the community to get involved in the 2019 NBA All-Star Weekend in Charlotte from February 14th through February 17th. In celebration of the event, Nike and Jordan Brand launch “Own The Game,” a film tribute to basketball legends who’ve owned their game on and off the court. Nike and Jordan Brand members can visit the Owners HQ inside Charlotte’s historic Mint Museum. You will also be able to try on the Adapt BB and the Why Not Zer0.2, SNKRS Pop-up space, workshops and customization station for the official uniforms of the 2019 NBA All-Star Game. Other highlights includes athlete panels, workshops, product customization and trialing at House of Hoops by Footlocker, workshops at Social Status, an exhibit of iconic basketball shoes at The Social Status House of DNA and speaker panels on workplace equality at The Female Quotient. In addition to the weekend’s headlining game, some of the country’s top high school teams will face off at Johnson C. Smith University on Thursday, February 14. 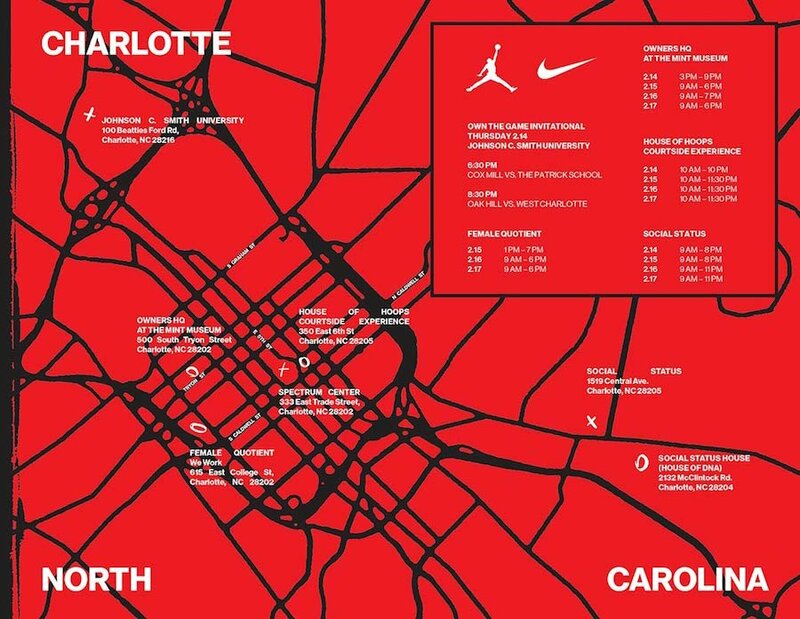 The post Nike and Jordan Brand’s 2019 NBA All-Star Weekend Events in Charlotte appeared first on SneakerFiles.